The idea for this app has been kept, stored in notes, put aside. Summer came, summer left. Another app needed an update, illness, laptop stolen, such things. Then something happened to me: I saw a movie which got hyped all over Europe. Exaggeration, words of praise, few of blame. In such times I tend to avoid those movies. At least I try not to read and hear about it. I managed it. And the I saw “Victoria” – spontaneous, unprepared and unspoiled. It worked, I went with those naiv adolescent night strollers in realtime without editing through their story. And I promise: I am sure, my heart beat never ever run that fast. 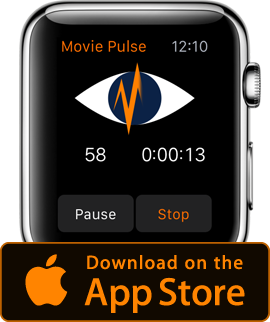 I knew instantly: drop everything else, make Movie Pulse work! Thank you so much, Sebastian Schipper, for directing this fine piece of film history.